Sita Ram Diwan Chand in Paharganj is a family restaurant which has been serving its esteemed customers for more than 40 years. 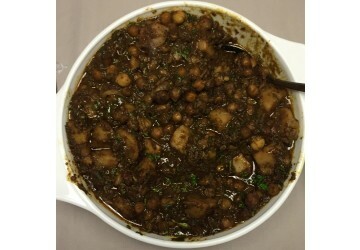 It was established in the 1947 Sitaram makes what many Delhi-ites believe to be perfect Chole Bhature. Bhatura is filled with cottage cheese & fresh coriander. 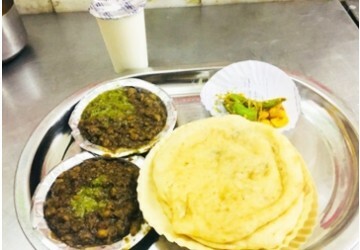 The bhatura are heated on tawa before serving so there is no oil and they are super soft & tasty ,the Chole is amazing in taste topped with green chutney Served along with flavorful Aloo ki subzi, pickle & green chillies. Certainly many customers including leading industrialists and movie stars, travel great distances for their daily fix.